On the blog, Hue & Tone owner Hannah Pomphrey shares design tips and inspiration, plus updates on our work. Some web pages and brochures good… and some look terribly unprofessional. If you’re new to graphic design or typesetting it can be hard to determine what makes someone’s branding look good or bad. If you’re a beginner – or you’re attempting to brand your own business -- there’s a number of type rules you can follow to give brand a polished look. Following these simple rules will help even the most amateur designer get their webpages and print assets in tip top shape! If you’re looking for some font pairing inspiration, head over to these two posts about pairing fonts on Squarespace (here and here). Choosing the right typeface is key. Get it right, and you’ll set yourself up for stylish, simple and easy-to-read assets. But get it wrong, and you’ll end up with illegible, cluttered and unappealing pages. Simple fonts should be used for main body copy, and decorative typefaces should be used sparingly for things like subheadings. The golden rule in the design world is to stick to a maximum of three fonts in any given piece of artwork - whether that is a website page, social media banner, or hardcopy flyer. However, whittling your fonts down to two can sometimes be even better. If you stick to just one or two fonts, you can use varying weights to create a more refined look. Exhibit A is a bad example. The website’s name, navigation bar, subheadings, and main body copy are all the same font size. Now there are two issues with that – first, it gives readers no visual indication where they should start reading or what’s most important to look at. Secondly, it makes it really difficult for the reader to skim through the copy. Now, let’s contrast an example of a solid hierarchical structure. The page’s title, navigation bar, subheadings and copy are clearly defined with varying font points, making it much easier on the viewer’s eye. Being creative is part of being a designer. Now we know we said earlier you should stick to two to three font combinations per project, but that doesn’t mean you can’t mix up your styling by playing around with things like the font’s size, weight, color and style. Whether you emphasize a key word with italics, change the color of a subead to something more bold, or bump up a term in your tagline to a size that’s more eye-catching, there are endless ways to create contrast within your copy. Alignment applies to all your on-page elements - like body text, titles, logos, images, and menu bars. When it comes to alignment, everything should be connected in one way or another. For example, you might want your logo to align with your main navigation bar, your body copy to align with your page’s title, and your images to align with your body copy. Well thought-out alignment will help prevent your page from becoming disjointed and ensure all your assets create well-measured sizes and distances between each other. Don’t fall into the trap of thinking you need to fill everynook and cranny on your page. Creating whitespace around your words can be incredibly powerful, can help draw attention to text, and will aid you in achieving a simple and trendy look. Last but not least is your color choice. The right colors can make or break the look and readability of your copy – there’s nothing worse than colors that make your words a strain to read. When it comes to choosing your colors, the aim of the game is to make your text as easy as possible to read. It’s as simple as that. Feeling overwhelmed with information? If you’re not a designer, knowing and deciding what does and doesn’t work is easier said than done. If you need a hand with your typesetting - or any other area of design, get in touch with our team today at (336) 365-8559. Are your inbound marketing efforts failing to secure the numbers you projected? Are you confident in your concept and scratching your head to figure out where it’s going wrong? Well, perhaps it’s time to look in the direction of your design. Design possesses the power to convert spectators into engaged customers. It’s the first and last thing people see when engaging with your business. And it should be a key focus when working to increase your conversions. So, without further ado, here are eight design tips to give your numbers a nudge in the right direction. Hick’s Law is a popular theory that suggests the time it takes someone to make a decision is directly proportionate to the number of possible choices they have. So, in Layman’s terms, the more options you give your visitors, the less likely they are to perform the desired action. To implement this theory, take a look at your site’s design and structure and ask yourself (and honestly answer!) whether you’ve got too much going on. If the answer’s yes, see how you can hone things down to give consumers one or two key choices. To a degree, the phrase “less is more” couldn’t be truer. Don’t cram your designs with color, text, and imagery out of the fear of being ‘bland’. White space can contribute to clean and clear designs that emphasize the content you want visitors to focus on… which, in turn, increases conversions. Color can evoke emotion. Emotion can result in action. Action can result in conversion. Use contrast to ensure your text, headlines and call to actions stand out, and experiment with your color choices to see which returns the best results. It’s true what they say, the human attention span is less than that of a gold fish - a mere eight seconds, in fact. That means you’ve got limited time to grab a visitor’s attention. Using natural imagery and real people can improve your brand’s authenticity and in turn portray you as more trustworthy, human, and familiar. If you’ve got an ‘About us’ section with a breakdown of your employees, put a photo of them next to their bio. And, instead of buying stock photos for everything, consider organizing a photoshoot that shows off your product or office. Poor quality pictures don’t make a good first impression. They reflect badly on your brand and lead onlookers to associate the quality of your imagery with the quality of your product or service - after all, if you can’t master your pictures, how can you follow through on the other things your website promises? Now we know that’s not necessarily true, but it’s a conclusion people can jump to. If you’ve got pictures on your site that are pixelated, distorted or just plain tacky, it’s time to go ahead and replace them. Having trouble designing a form that converts? We can help with that. When it comes to conversions, your formsare key – because it’s where the action takes place. So, don’t let yourself fall flat at the final hurdle. Keep your form simple and concise, include a clear CTA, make sure the fields are clearly labelled, and use a large submit button. To see where there’s room for improvement, we suggest trying out some A/B testing (more on that here). This one might seem obvious, but it’s not unheard of for people to overlook the most obvious element of their website. Whether it’s a landing page, flyer, brochure, business card or online ad, you need to always include your logo. That’s how you reinforce your branding for people – and while it doesn’t have to be the focal point of your page, it does need to be strategically placed so people know where they are and who’s talking to them. Feeling like these design changes are outside of your expertise? Not to worry, that’s where our creative team comes in! To see what we can do for you, get in touch today at hannah@hueandtonecreative.com. We’re posting our blog a day early this week to help you prepare for Valentine’s Day! If you’re short on time – or if you’re just looking for something a little more creative than what you can buy in the store — than we’ve got three bright and bold designs for you to select from. All cards can be printed on standard 8.5 x 11 paper so you can easily print them at home or in your office! No email is required, just click on your favorite card, print it out, and give it to your sweetie. 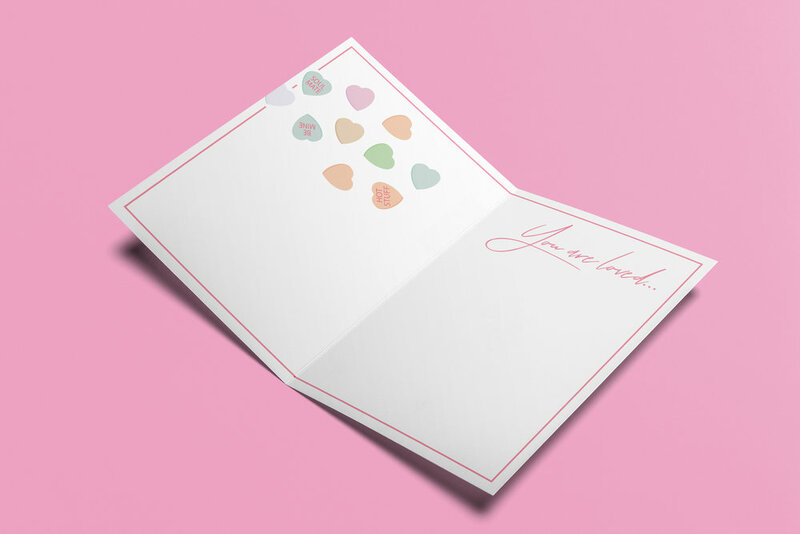 Download the Candy Hearts card here. Download the RAINBOW GRADIENT CARd here. Download the BE MINE CARD here. Looking for your own custom designs? Whether it’s a greeting card or an entire rebrand, we love working on all things type, color, and design related. Let’s discuss how we can work together — contact us here. Finding the perfect font is no easy feat. For starters, there’s an unfathomable number of options to choose from. Even once you select a font, there’s a ton of variables that can interfere with what does and doesn’t work - Do you need the font for print or digital? 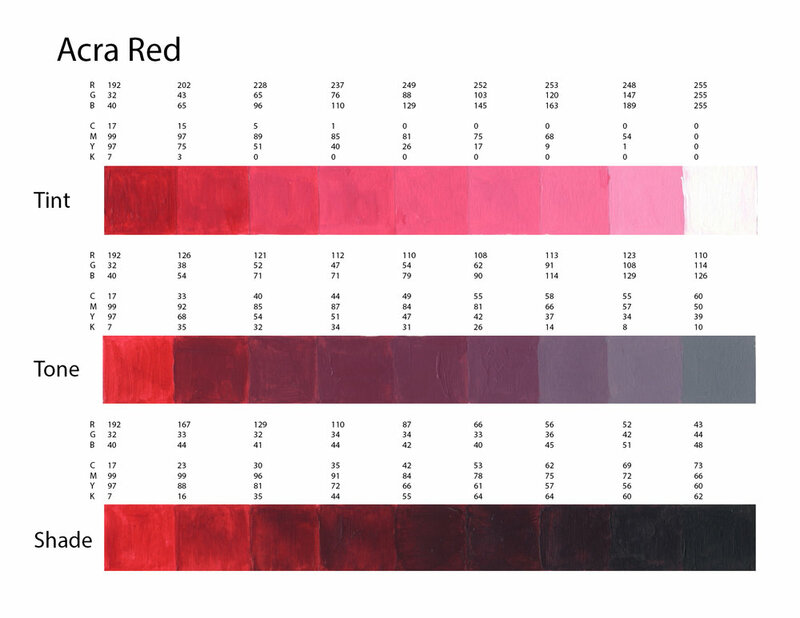 Are you designing something colorful or monochromatic? Are you laying the font over an image or putting it on a blank background? The the list of potential factors goes on and on! What’s worse, is that many popular fonts require purchasing a license — one that can often be quite pricey. We’ve already compiled lists of our favorite Adobe Typekit fonts (free if you have an Adobe CC license) and our favorite Google Fonts. But if none of those are speaking to you, we’ve pulled together another list of ten great free and easy to download fonts. Hansief is a simple and bold typeface offering a unique vintage feel. It comes with two styles - regular and rough - enabling it to easily adapt to a range of design settings. Download here. For those pieces that need an elegant, classy and handcrafted touch, look no further than Tuesday Night. Download here. If you’re after something with a bit of texture, then Mr Grieves has you covered. It’s rough, ready, and raring to grab your audience’s eye. Download here. A handmade brush font by nature, Bosk lends itself very well to artwork in need of that personal and custom feel. Better yet, it’s multilingual and comes with more than 400 characters, so you won’t struggle for choice. Download here. Talking of choice, enter Oraqle Script. It’s got uppercase, lowecase, numerals, punctuation and multilingual characters, and also includes things like ligatures, stylistic alternate characters and swashes. Modern, striking and full of texture, it ticks all the boxes. Download here. If there’s one thing The Bold Font absolutely oozes, it’s trendiness. It’s streamlined and ideal for anything from logos and packaging to social posts and on-page headings. Download here. Simple, slim, refined and commanding, Nikoleta is good to go for things like posters, headlines and online ads. Download here. Inspired by the old growth forests of the west coast, Old Growth is fairly new which opens up the door to testing something relatively untried and really standing out. In the words of the creator, it’s perfect for branding, quotes, headlines and more. Download here. Now this one’s definitely different, but different is by no means bad. While we wouldn’t suggest overusing this one, we think it’s the perfect pick for key headlines and accents. Download here. For those after more of a classic feel, Bodoni XT offers the right balance between traditional and on-trend. It’s also readable, making it a good fit for longer chunks of text. Download here. Whether it’s a complete overhaul of your branding, a one-off social media ad, an eye-catching business card, or a logo refresh, we’ve got the expertise you need to make your branding pop. Contact us at (336) 365-8559 or hannah@hueandtonecreative.com to see how we can start working together. In an ideal world, your website visitors would never find themselves faced with a 404 page. But, suffice it to say, this isn’t an ideal world — people type things in wrong, links break, and technical difficulties happen. Although your first plan of action should be ensuring there are no broken links on your site in the first place, there are ways you can make the most of a bad situation. If a visitor finds themselves facing a 404 page, you can turn their irritation into an opportunity to entertain them, sell yourself, or provide them with valuable resources. It’s clean. It’s simple. It’s on-brand. It’s a complete over-exaggeration of the reaction you probably had. And in our opinion, it completely works. Funny and relevant: the best combination! Bluepath’s a data strategy company, so they aptly designed a data-driven map to show their lost visitors where they stood. 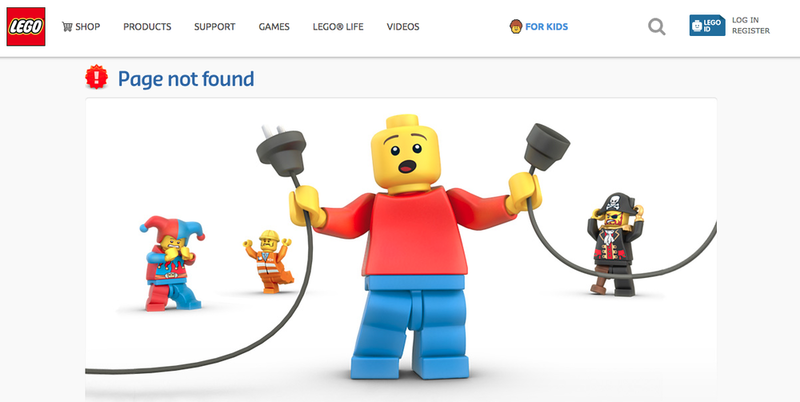 Like Pixar, Lego let their 404 page serve as an extension of their existing brands. They capitalized on a few favorite characters to illustrate the situation visitors have found themselves in. 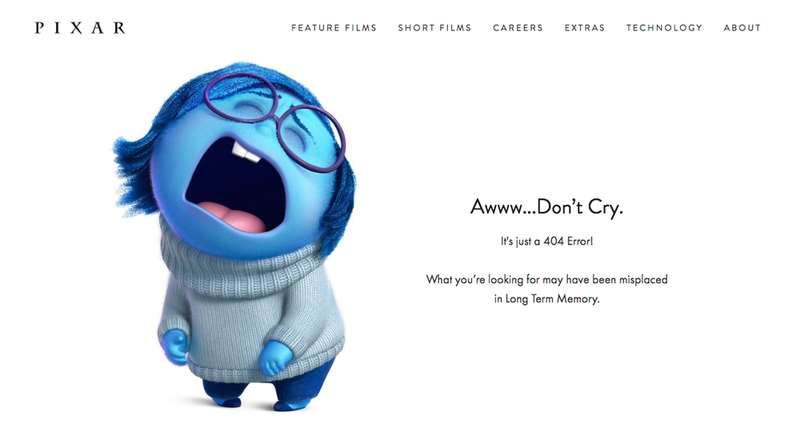 Not every brand necessarily has a set of iconic characters to bring their 404 page to life. But, as HubSpot have shown, this doesn't have to stop you from having a bit of fun. They’ve also smartly reinforced their audience’s love of their services and cleverly tried to redirect them to a handful of other, selected pages - win, win! If all else fails, state the obvious. Super simple, but just as on brand. Everyone loves a good pun, right? The beauty of Emirates’ 404 result is that it puts their people on the page and capitalizes on a very obvious but on brand, pun-filled message. Another superb example of how your 404 page’s message can wittily relate back to your organization’s core message. Now there’s a lot more text on NPR’s 404 page than most, but it totally works. They do a lot here: in addition to giving you an alternative way to find what you’re looking for, they work in a little foolproof humor and even point you to a few other articles. 1) It puts some of the onus on the visitor - after all, 404s aren’t always the website’s fault! Key links - make it easy for visitors to navigate their way back to live pages on your site. Ideally, you should make sure your main navigation bar is prominent on your 404 pages. Branding - just because your 404 page isn’t a page you intentionally want to drive traffic to, doesn’t mean it isn’t important. Keep the look and feel of it consistent to that of your site so people know you’re still close by. When it comes to web design, we know what we’re doing. 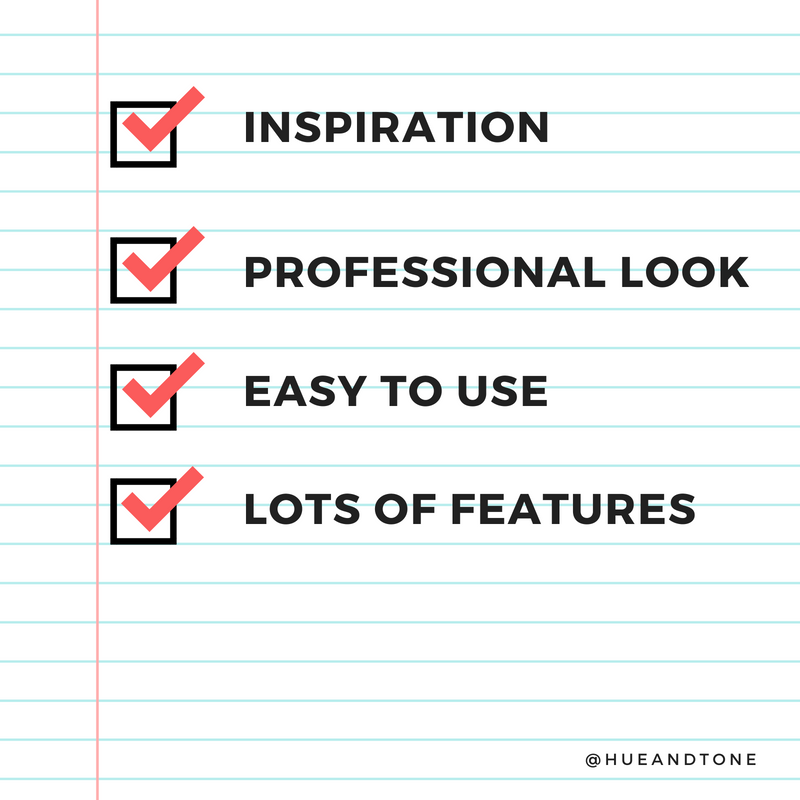 For help creating a killer 404 page or an entire website, make the first move toward better web marketing today: 336-365-8559 or hannah@hueandtonecreative.com. Completely devoid of design sense? Struggling to put in words why others should support your business? It may be time to bring some outside help in. Whether you’re thinking about hiring an agency, graphic designer, or web designer, there’s a few things you need to know before hiring outside help. We’ve pulled together some of our best articles from over the last year to help answer some of the big questions you’ll run into when hiring outside help. Whether you’re a new business just getting off the ground, your business is suddenly growing, or you’ve just realized you’re in too deep — we’ve got an article here for you. You know you need the basics like a logo and business cards – but what other marketing assets should you make a priority? We’re here to tell you what you need it, why you need it, when you need it, and how you get it. Your logo is an integral part of your brand. It identifies you. It distinguishes you. And it creates consistency across everything you do. This post breaks down how a professional can design a logo that has meaning, purpose and power. You’re in need of a new website, but you’re not sure if you should take a stab at it yourself or hire outside help. It all depends on your needs. While web site builders make it easier than ever for non-designers to pull together their own website, they don’t work for everyone. If you’re a tech savvy business owner who needs a simple site, they might be a great option. But, if you’re tech-challenged, short on time, or in need of a more custom site you probably need to consider hiring a web designer. Best post if you already know you need website help: What’s the difference between a graphic designer and a developer? As online tools make it easier for people to learn new skills there’s been more and more overlap between the jobs of graphic designer and developer. Although they are experiencing more and more of each other’s worlds, there are still several clear-cut differences between the skillsets of graphic designers and developers — so, who do you need to hire? If you do it right, giving feedback won’t be perceived as negative. In fact, it’s an important part of the design process – and it’s something that your designer is anticipating. But giving feedback in an unproductive way can lead to an overall unproductive relationship between you and the creative you hired. You probably made it to this blog post because you’re considering hiring an outside designer. We’d love to throw our hat in the ring! 🎩🙋🏻‍♀️No matter who you are or what stage your business is at, we’d love to sit down and tell you why we’re the right marketing partner for you. Let’s set something up: 336-365-8559. We’re officially in a data-driven era. Decisions are made on it. Purchases are persuaded by it. And trust is gained through it. But what is data visualization? Where do its benefits lie? And how do you make data visualization truly effective? Qualitative data is information about qualities; information that can't actually be measured. Some examples of qualitative data are the softness of your skin, the grace with which you run, and the color of your eyes. Quantitative data is information about quantities; that is, information that can be measured and written down with numbers. Some examples of quantitative data are your height, your shoe size, and the length of your fingernails. In its simplest form, data visualization is the representation of data in a pictorial or graphical format. Displaying information this way allows readers to grasp complex concepts with less effort and makes it easier to summarize a large of data quickly. Aesthetically pleasing results: lines and lines of numbers with the odd word interspersed never looks good -- nor does it read well. Data visualization removes the need for all the numbers and brings your pages to life with eye-catching graphics. Digestible takeaways: data can be a minefield to understand and take several read throughs to understand. By presenting it visually, your audience can quickly and easily skim and digest the information you’ve given them. Easier processing: by presenting your information visually, you’re upping the chances that people will understand and remember it. So, now that we’ve explored the benefits and types, let’s take a look at some great data visualization examples in practice. 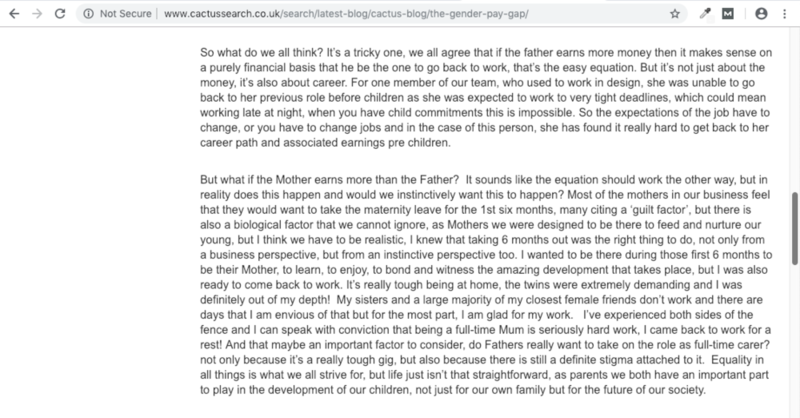 Looks more engaging than a load of words and values dumped in a paragraph, right? Tag clouds are a great way to bring word-frequency data to life. Like with this example, they can be extra effective if you use your creativity to mould your data into the shape of the topic, too. Subway maps aren’t just for subways...This type’s a great way to attract attention because, odds are, visitors won’t be expecting to find a subway map on your site! This is a superb example of how a timeline (or really any chart) doesn’t have to be plain to be effective. With a few crafty tweaks, you can brand your charts and infographics to fit your brand! Looking for us to dive deeper on data visualization? Or, maybe you want to hear about another topic completely? Leave us a comment letting us know what you would like us to blog about! Need your own custom infographics, charts, or presentations? We can help with all that and more! We'll help you define your brand and create tailored marketing materials so you can impress each and every one of your stakeholders. To get started, just shoot us an email explaining your needs: hannah@hueandtonecreative.com. Canva’s an online design tool, and it’s used by millions of people around the world to help create professional-looking presentations, posters, social media images, menus and more. (You can preview their templates here). While we whole heartedly believe that there’s no substitute for professional design, we know it’s not always in the budget for every company or every project. Canva is a good solution if you’re working on a tight budget or pinched for time. In fact, we often set our non-profit or small business clients up with Canva templates so that they can enjoy branded templates without having to keep us on retainer. It may sound like bad business sense on our part – but we believe in supporting businesses of all sizes, with all different types of budgets. If you’re not a designer by trade, you’re probably stumped on where to begin when it comes to designing a graphic. Luckily, Canva is brimming with layouts for you to choose from, eliminating the need for a grand creative vision. Not having to start with a blank page can save you invaluable time, spark ideas you might not have originally considered, and help you complete the project with a higher quality end result. Because the layouts on Canva are put together by skilled designers, the overall look and feel of your projects will inevitably be more professional -- and in most instances for free! Canva offers three pricing options, all of which are likely to prove more cost-effective than outsourcing the task to an agency. But remember, by forgoing the input of a designer by trade, you’ll be losing out on all their extra expertise, ideas, and drive (even if you are saving a dollar or two! ), so consider the pros and cons carefully. There’s a plethora of design tools out there, and some are easier to use than others. Fortunately, Canva falls within the ‘easy to use’ category. With hundreds of self-explanatory templates to choose from, simple drag and drop functionalities, and the option to access photos within the app, it’s super intuitive, so that even a novice can pick it up in no time. Canva is great – and we encourage you to test it out. But, we always push people to create consistency where possible. Whether this means using consistent colors or getting a designer to create custom elements to import is up to you. 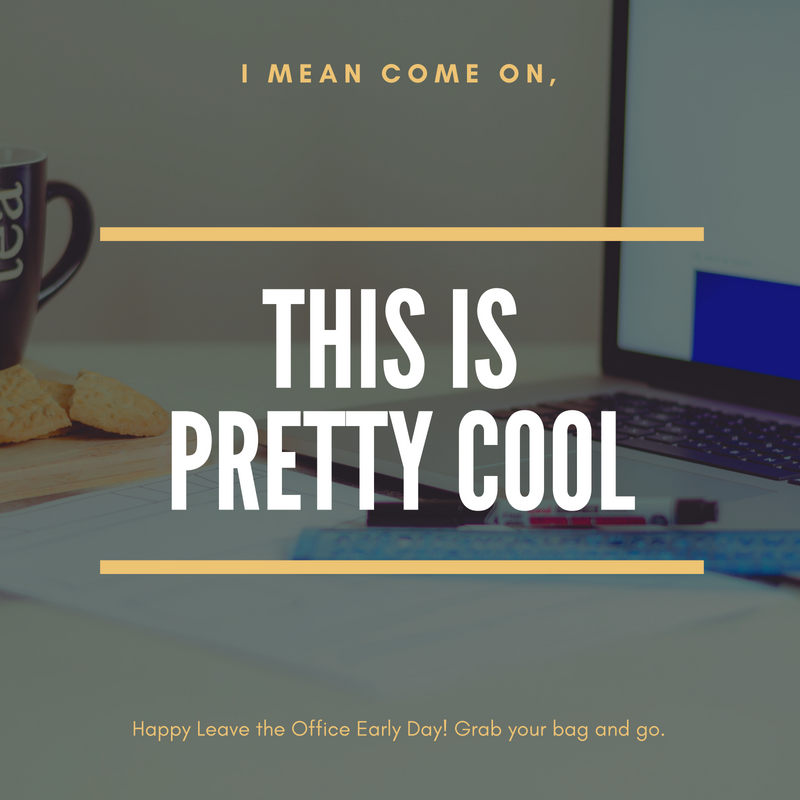 Just because Canva has endless options doesn’t mean you should use them all! Creating a cohesive look with your overall brand is important no matter what tools you use to get there. While Canva’s a great design tool for a DIY projects, sometimes there's no substitute for a real design expert. That's where we come in. Whether it’s a letterhead, leaflet, social media banner, or flyer, we’ve got what it takes to take your visuals to the next level. Contact us today to learn more about our special non-profit rates! Just starting up? Here's 5 questions any new business owner should answer before branding their business. Branding is made up of the values that guide you, the visuals that communicate who you are, and the language you use to communicate with your customers. If you’re a regular reader, the number one thing you’ve probably learned from our blog is how important branding is. That’s because it’s essential to attracting, converting, and keeping your customers. It builds loyalty, brand recognition, and acts as a touchstone for consumers. Think outside of the box and make sure your logo, values, and messaging differentiate you from what’s already out there. Everyone has competitors -- and chances are they sell similar or identical products/services. Don’t fall into the trap of trying to imitate what they do! Work with a designer to create a strong brand identity for yourself and then stick with it. It may take time, but you want to establish your identity separate from the competition. Don’t let your branding give off a less-than-contemporary vibe. In the customer’s eyes outdated branding translates to inferior products and subpar service. Just because you went through the branding process when you first started your business, that doesn’t mean you’re set for life. Your business’ branding should be periodically reviewed and tweaked to reflect the constantly evolving digital landscape. Consistency is key. Your market needs to be able to identify you across every channel and it’s counterproductive to have an entirely different look and feel across different mediums. Whether it’s on social media, direct mail, a billboard ad, or website banner, your brand should be instantly recognizable across everything you produce. If it’s not, you could miss out on brand awareness and the benefits of an omni-channel campaign. When you’re establishing your branding, it’s imperative to remember that what you’re aiming for isn’t about you and your personal preferences -- it’s about your potential customers or clients, so try to avoid getting too personal. Just because a color isn’t your favorite, doesn’t mean it won’t connect with your potential customers. If you're having trouble separating your emotions from the process, consider putting some data behind your decisions by conducting market research to gain valuable guidance. Your branding should quickly and effortlessly communicate what you do -- and it should easily grab your potential customer’s attention. In a world where time is a highly valued commodity, it’s essential you snag people’s attention quickly. If your branding’s unclear, you run the risk of not being memorable…which may send them running to your competitors. Branding doesn't have to be hard -- in fact, with the right people in your corner it can actually be fun! Let us turn marketing into something you enjoy doing -- not something you dread. We can help you with everything from your initial branding to your day-to-day social media needs. Most brands, no matter how big or small, evolve their logo at one point or another. It might be a subtle redesign to get on trend, or it might be a total overhaul. No matter how thorough of a rebrand you're looking to do, just make sure the reason you do it is solid -- you don't want to be that company constantly confusing people with a new name or logo. A few of the reasons we think you should consider a redesign? In our opinion, a good logo update maintains the integrity of the original brand, while evolving the look. Your first logo will rarely be your last -- and as long as the thought process behind your redesign is strong, there’s no reason not to periodically enhance or revamp your logo. Nike’s refresh couldn’t be a better demonstration that less is more. No color. No words. Just an instantly recognizable, worldwide tick. 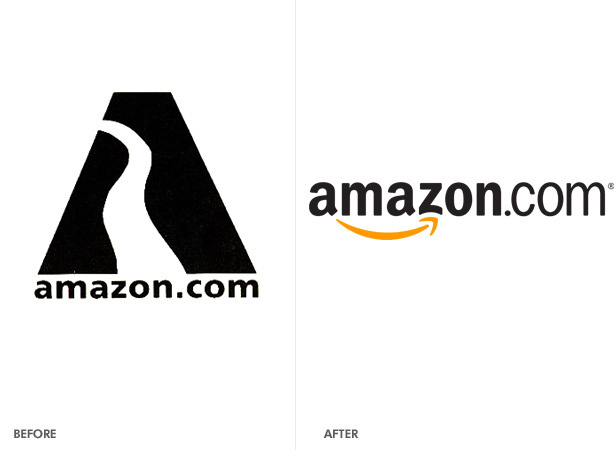 A rebrand brought on by business changes, Amazon's logo is a great example of a clever design. While Amazon's first version wasn’t exactly irrelevant to Amazon’s name, its current logo is a true reflection of what it stands for. With a smile for its happy customers pointing to their A-Z offering, there’s a lot that can be learned from Amazon’s slick rebranding. Since its inception, the BBC has developed a multifaceted brand. Having many different branches of business means needing a highly versatile and adaptable logo. Their simple three box logo coordinates well with other fonts, gels with any color, and has mass appeal. 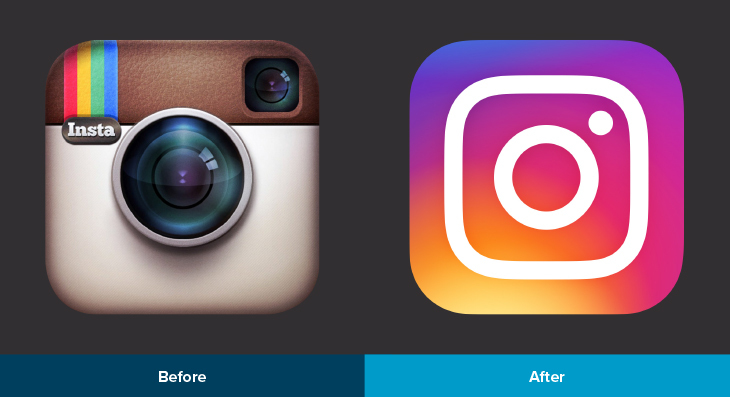 Instagram’s old logo was incredibly retro -- we'll leave it up to you if that's good or bad. Some folks certainly liked it, because they received a decent amount of pushback when they revealed their updated logo. Many compared its background to something seen in WordArt, but it’s since proven that it’s less paint shop and more pro. It’s simple, funky and modern; everything Instagram is as a platform. Spotify’s logo was fairly streamlined before, but their rebrand took it to the next level. By sticking to one vibrant color and scrapping the gradient, they've stayed in line with design trends while still maintaining the integrity of their brand. Let us focus on telling your story, so that you can focus on what you do best: running your business. We're your own personal marketing department -- and will handle everything from your brand launch to daily social media needs. If you need to lighten your workload, we're here to help -- reach out today.